For many people a workout isn’t complete until they’ve gulped down a protein shake afterwards, but this wasn’t always the case. Protein-packed drinks were once only seen in the meaty clutches of bodybuilders, with regular gym types happy to stick with a banana and a tablespoon of peanut butter to fuel their muscle growth. Today’s gym-goers have fully embraced the protein shake, but how many know exactly what is in the powder they chug down so merrily? For all the info on drinkable protein supplements we spoke to sports dietitian Gemma Sampson (dietitianwithoutborders.com). The classic shake is a few spoonfuls of protein powder mixed with water or milk, but the increasing popularity of protein-packed liquids means that there are far more options available. Most boutique gyms and studios will sell protein shakes or smoothies that are generally more delicious than a standard DIY shake, but can also contain high amounts of sugar if they throw in a load of fruit or chocolate. You can also buy ready-made protein drinks in the supermarket nowadays, but again, you should make sure to check how much sugar they contain. What is the point of protein shakes? Shakes are simply a convenient way to increase your intake of protein, which is needed to support muscle growth and a host of other bodily functions. “Protein plays an essential role in muscle growth, repair and normal function, forming enzymes and hormones, transmitting nerve impulses throughout the body and protecting immune function,” says Sampson. What are the main types of protein used? The two most common types of protein powder are whey and casein. Put in the simplest terms possible, whey is absorbed quickly and casein slowly. Whey is best for taking straight after a tough workout when you’re looking to provide your muscles with the fuel needed to start repairing and rebuilding themselves immediately, while casein can be taken before you go to bed to drip-feed amino acids into your muscles overnight. 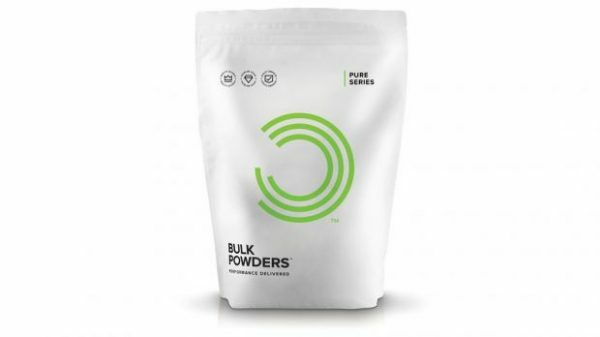 Many powders contain a mix of whey and casein protein to cover all your bases. Whey itself comes in three main forms: concentrate, isolate and hydrolysed. Concentrate is the cheapest type, while isolate has the highest protein content and is absorbed faster than concentrate. Hydrolysed also has a high protein content and the protein has been partially broken down during the production process to make it the fastest absorbed type of all, but it is more expensive than concentrate or isolate whey. Many powders use a mix of all three. Both whey and casein are sourced from milk, so if you’re vegan you’ll have to look elsewhere. Fortunately there are plenty of options that aren’t derived from animals to consider, with soy, hemp, pea and brown rice all commonly used. Generally, vegan powders use a mix of these to provide a complete protein, which is one that contains all nine of the essential amino acids we need, in varying amounts, in our diet. Soy is a complete protein, which is why it is the go-to option for many vegan powders, while a blend of rice and pea protein is another of the most common combos. No matter what your aim is, protein shakes should always be used alongside a balanced diet, rather than to replace real food. “It’s always better – and usually tastier – to get your protein from food,” says Sampson. “But sometimes that’s just not possible – whether it’s the volume of food required to meet individual requirements or due to dietary restrictions. The more restrictive a diet becomes, such as with a milk allergy or a vegan diet, the harder it can be to meet protein requirements naturally through food, which is where supplements can be beneficial. How much protein should you eat when you’re aiming to build muscle? Even if you are sedentary you should be eating 0.8-1g of protein per kg of bodyweight per day, and once you start working out with the aim of building muscle you need to increase that considerably. “To build muscle, an overall daily protein intake of 1.4-2g protein per kg of bodyweight per day is recommended,” says Sampson. Try to spread out your protein intake and remember that it’s not going to lift the weights for you. “Aim to consume 25-40g of protein per meal every three to four hours over the day for the best results, rather than one or two bigger doses,” says Sampson. A lot of protein supplements market themselves as weight loss aids, and while they certainly can help, it’s – as always – a little more complicated than that. “They can play a role in aiding weight loss, but it depends in the context where they are being used,” says Sampson. Protein has the effect of making you feel fuller for longer, which should mean that you’re less tempted to give in to snack cravings. But you need to remember that they do contain calories, so they’ll be adding to your overall intake. “If the energy being consumed from a protein shake is above and beyond your normal energy needs, then your post-training shake could actually be hindering your weight loss efforts,” says Sampson. When should you drink a protein shake? Is it imperative to take one within 30 minutes of a workout? Unless you’re training multiple times a day, it’s probably not worth stressing yourself out about chucking down protein as soon as possible after a workout. “If you’re training twice a day, getting protein, carbohydrates and adequate fluids in quickly is important to aid rapid recovery to get the most out of the second session of the day,” says Sampson. “In this situation, eating within 30 minutes of exercise is critical. Should you have more than one protein shake a day? If your training level demands a protein intake that’s tricky to get from food then it might be worth having more than one protein shake a day, but again, keep an eye on all the ingredients. “If there is a real need to consume more protein that can’t be met by food alone, you can take more than one protein shake,” says Sampson. Are there any downsides to using protein shakes? Perhaps the biggest downside of protein shakes going mainstream is that the gym is full of trouser trumpers. Other than that, there aren’t any considerable risks to using protein powders, but it’s important to keep a close eye on the sugar and fat content of your protein drinks, especially if you buy them ready-made. “Supplements typically do contain a lot of added ingredients which may not always be necessary or desirable,” says Sampson. Furthermore, elite athletes should keep a very close eye on the ingredient list of supplements. The biggest question of all. Is the average person actually going to benefit from protein shakes? “The majority of people are able to get enough protein naturally from foods,” says Sampson. The following products triumphed in the Men’s Fitness Sports Nutrition Awards 2018, as voted by readers of Men’s Fitness and Coach. Here’s the breakdown of each one’s vital stats.